In the shop you can choose from a variety of WNBS products. You can also preview the products with choosing a word from wordbank by clicking on Sort by Word. 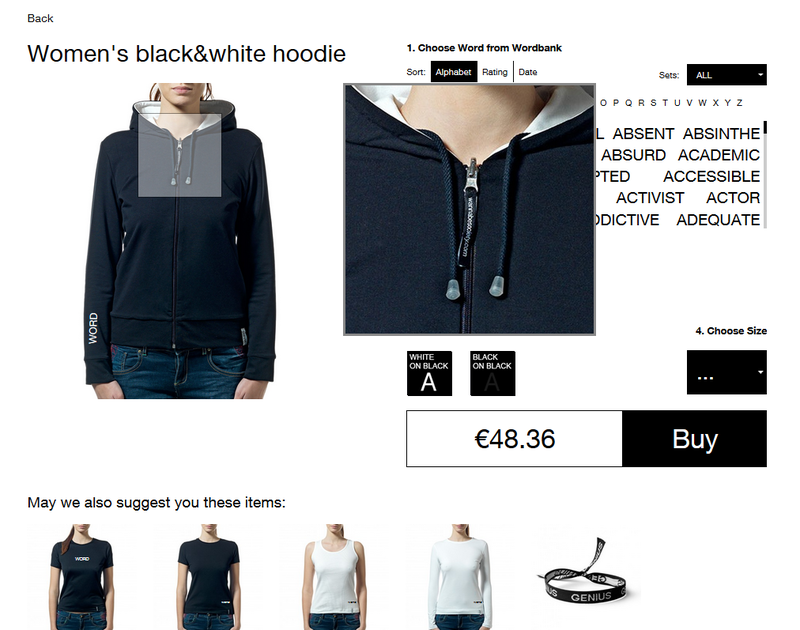 Depending on which range of products you've chosen, select the product's features from available options (e.g. word, color, size, model). When mouse moves over an image, zoom appears on the right. 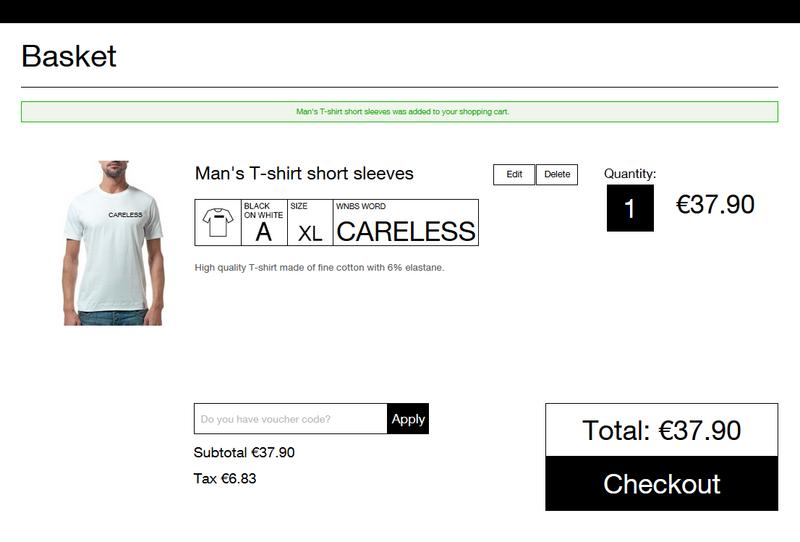 When you are satisfied with the selected options, confirm your choice by clicking "Buy". 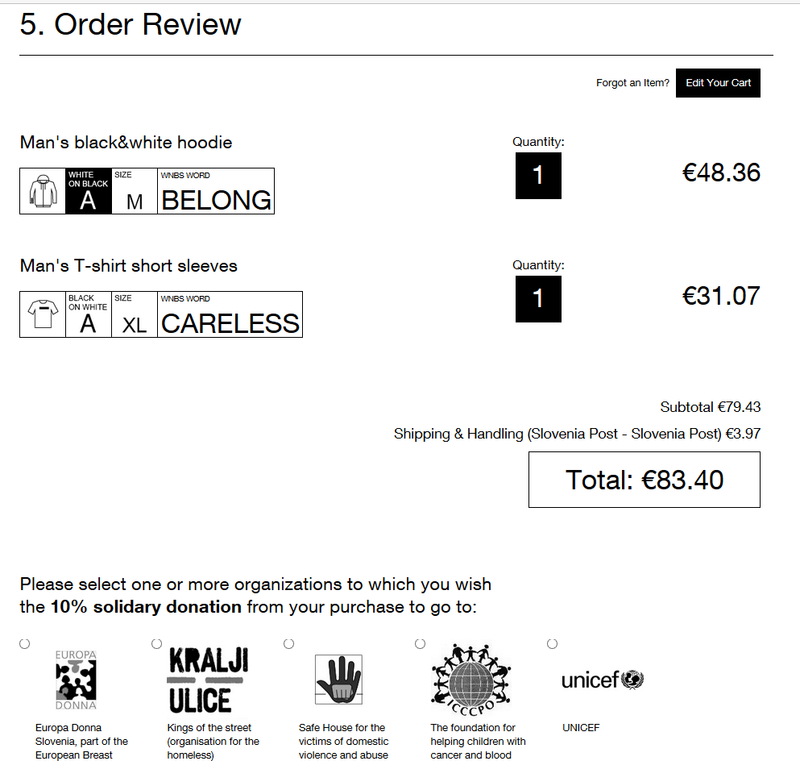 You can review the content of your bag, remove unwanted items and keep the products that you really want to buy. If you received a voucher or a gift certificate code, enter it in the field and click 'Apply'. Enter your address and e-mail into the billing information form. 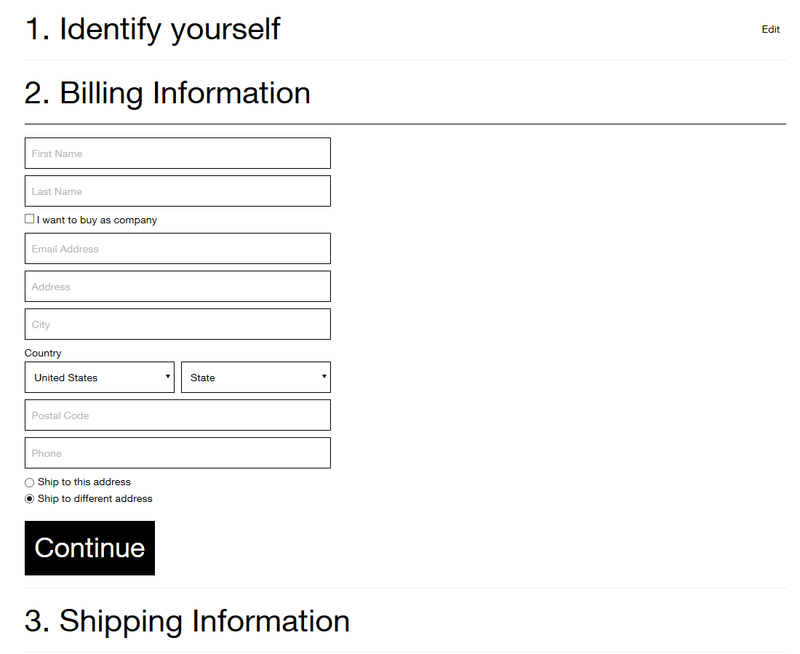 While you type in your address the fields will be automatically copied into the shipping information form. 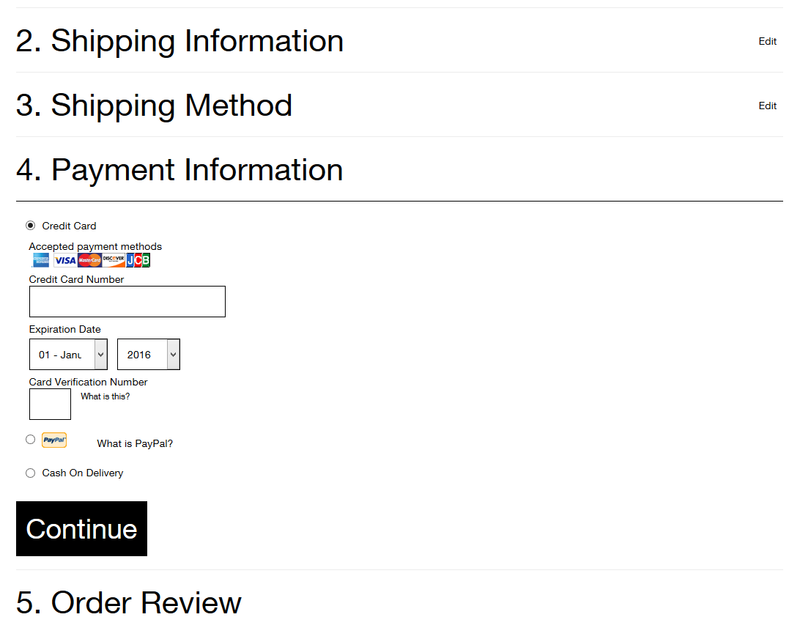 If you want your order to be shipped to a different address, edit the shipping information form. If you have previously registered as a WNBS member you can enter your e-mail and password into the returning customer form to login for a faster checkout. If you want to take this opportunity to become a member, for easier future checkouts, fill out your nickname and password and you will be registered and logged in as you continue. Select the payment method you want to use and click on next step. Check again all the data related to your purchase and if necessary return to the store to make any changes. When order informations are sent to our e-mail, you receive an e-mail with all data and the webpage redirects you to success page.